California Livin Home: "The Pursuit of Happiness"
Living in Southern California has many advantages. There are so many beaches, tons of shopping and I would be remiss if I did not mention Disneyland, LEGO LAND, Knott's Berry Farm and the San Diego Zoo. But, away from the hustle and bustle of all the theme parks, zoos and shopping malls is another destination to put on your bucket list. 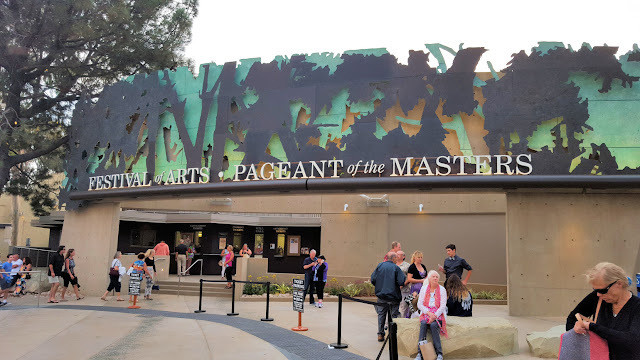 The Pageant of the Masters in Laguna Beach! Thus, the name of my post today, "The Pursuit of Happiness". Which happens to be the Pageants theme this year. For the past 10 years my husband and I have enjoyed attending the Pageant. An incredible 90 minutes of "Live Art". Real people, adults and children, posing to look like original paintings by renowned artists. Narrated and accompanied by a full orchestra, you will enjoy the work of hundreds of volunteers over hundreds of hours of preparation for what I can only describe as cotton candy for the eyes in a large outdoor amphitheater. We enjoyed this year's theme "The Pursuit of Happiness" where we looked into what makes us happy in life now and what made people happy in life in the past. If you ever get a chance to come to California or you live here already and have never experienced the Pageant get your tickets early for the best seats (I overheard a patron saying she purchased her tickets in December!). 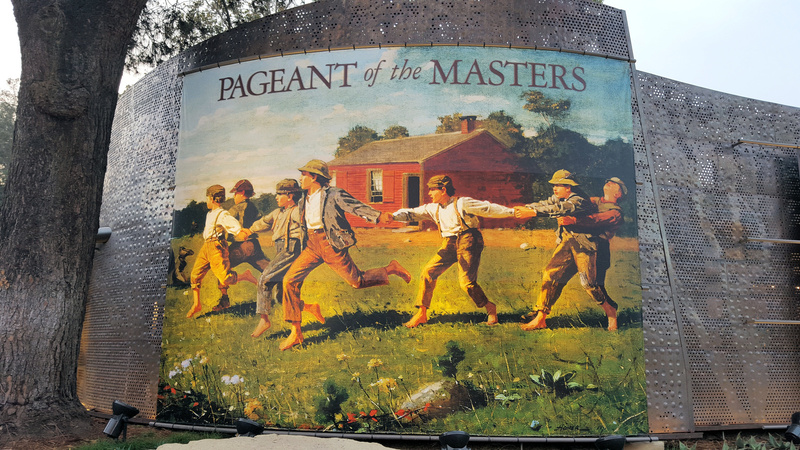 The Pageant runs from early July to the end of August!